Everybody likes pizza. Even when visiting restaurants not known for pizza, artisan pies and flatbreads are always popular items and upsells. Is your establishment taking advantage by serving everyone’s favorite menu item? What’s stopping you? The TurboChef Fire’s compact design is ideal for just about every situation, regardless of the kitchen size. It stands less than 23″ tall with legs, has a width of less than 20″, and only weighs 80 pounds. Maybe you have space but ventilation is cost prohibitive or not available. 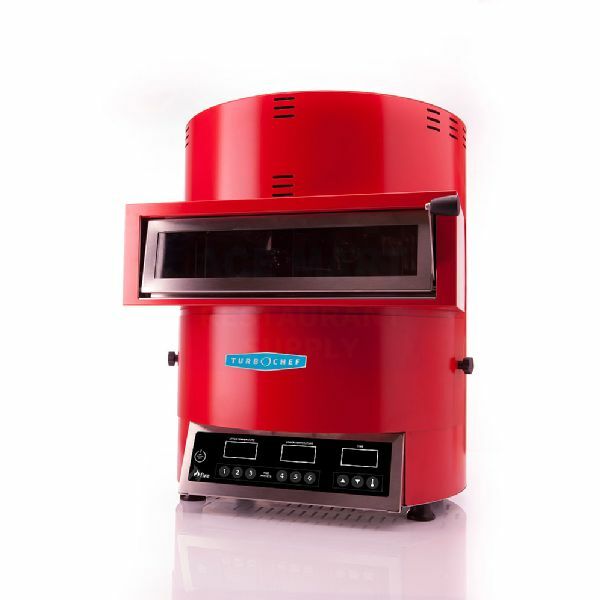 The TurboChef Fire is a ventless solution that allows for pizza ovens where they’re normally not an option. The TurboChef Fire gets hot. Really hot. With temperatures reaching 842ºF, cook times on 14-inch, fresh dough pizzas can be as little as 90 seconds with maximum times of still less than three minutes. You want to provide artisan pizzas that are actually artisan, right? Well, the TurboChef Fire was born in Florence, Italy in the heart of a country that knows a thing or two about pizza. Combined with TurboChef’s unparalleled technology that allows for both top and bottom temperature control, you’re guaranteed an artisan experience every time. With one-button operation, the TurboChef Fire pizza oven is easy to use. Plus, hearthstone ovens often require turning and moving the product to distribute heat across the whole pie. With the Fire, moving the product is not required, nor is a highly skilled oven operator. Ready to Grab Your Slice? Don’t miss the opportunity to freshen up your menu and increase sales with a highly profitable item. No matter what your space, the form and functionality of the TurboChef Fire can help. Click on the image below for more information, and come grab a slice.